Hats by Zarbella hat making; flowers, butterflies, feathers, veils & ribbons. Like every race meet, the stars of show, more than the horses and jockeys, are the ladies' hats, headwear & dresses! 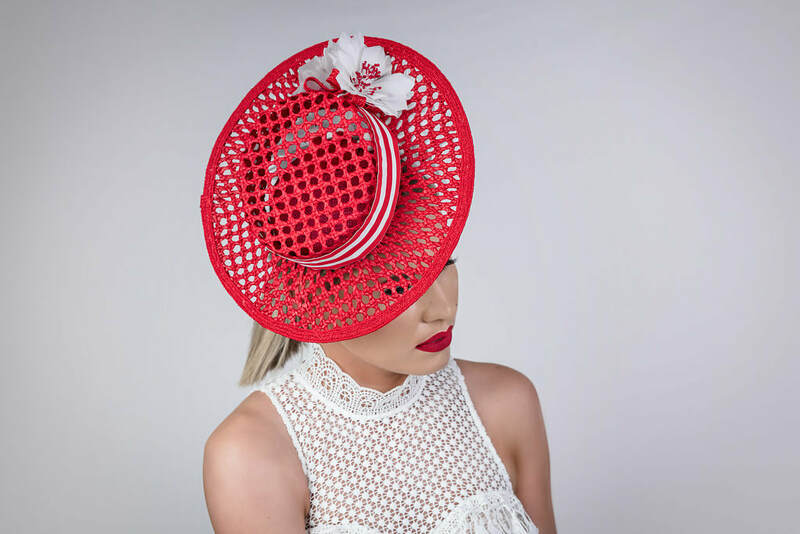 ​A showcase of Hats by Zarbella race wear Collection. 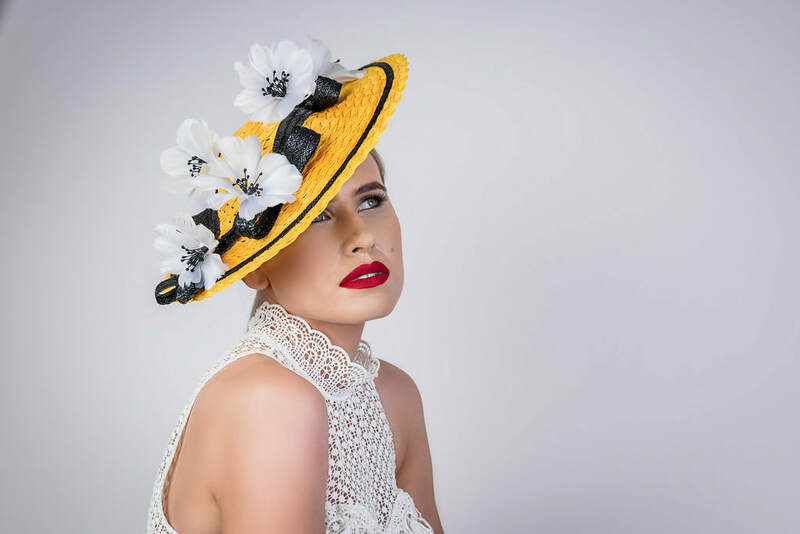 Bright and beautiful canary yellow hat with pretty white feathered flowers and black swiss braid bows. Red woven mini crown boater hat perched up on the side with an array of sweeping white feathered flowers underneath. 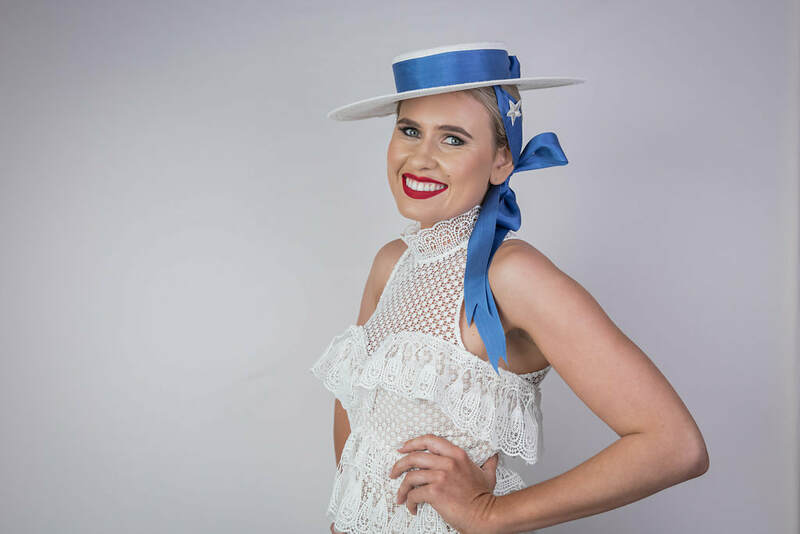 Classic charming white straw mini crown boater hat with vintage blue ribbon hat band and side or back bow with a embroidered silver star for an elegant and feminine look. Classic purple boater with neck ties made from attractive houndstooth woven straw and headband shades of lilac, lavender and purple with side or back bow. 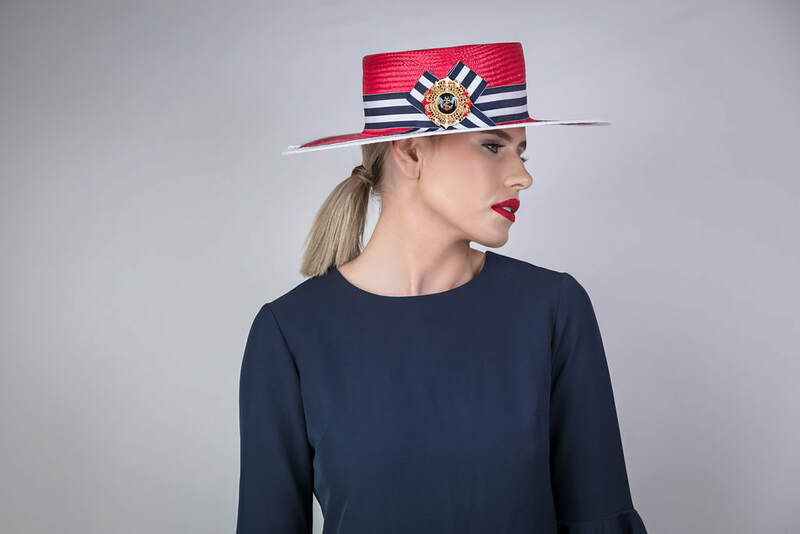 ​A beautiful natural straw boater hat with navy and white striped band and red embroidered star.